1. Can you explain to young people just what an an interpreter is? An interpreter is a person who speaks more than one language and can listen to what is being said in one language and tell you, right away, what was said in another language. Sometimes the interpreter has to wait until the person has finished speaking and then he/she repeats everything that was said in another language. Interpreters who work in the courts and hospitals often work this way. This is called "consecutive interpretation". Interpreters who work for large organizations (United Nations, World Bank, European Union, for example) most often interpret for conferences. They sit in booths along the side or back of the room. Their booths have large glass windows so that they can see into the room and look at the people for whom they are interpreting. There are microphones and earphones in the room and in the booths. When someone in the room speaks in one language the interpreter can hear the speaker through his earphones and he/she then turns on his own microphone and interprets what is being said at the same time. This is called "simultaneous interpretation". The best part of my job is being able to tell people in the room who only speak English what is being said in French and Spanish. I know that they depend on me and I know I need to do a good job. Although it can be hard to listen and speak at the same time I find it exciting. The subjects discussed at the United Nations are often very interesting so I learn a lot about what is going on in the world while I'm working. 3. What is the most difficult aspect of being an interpreter? The most difficult aspect about my job is that I have to keep on learning. There are always new subjects and new vocabulary to learn so you never feel that you "know it all". You have to continue to read in your languages and increase your knowledge. It's a lifelong study. 4. Do you have a memory you'd like to share about your job? I have many fond memories of working. I worked in Vienna, Austria, for a long time and I have also traveled many places in the world with the United Nations when conferences were held in other countries. I always enjoy getting the message across to people who don't speak any foreign languages. It's always fun to interpret a joke. You can tell if you've done a good job interpreting or not. If everyone in the room laughs when you get to the punch line you know you got it right. It's a great feeling to know that you've been able to help people understand each other and even laugh together. 5. What are the necessary skills needed to become an interpreter? In order to become an interpreter you need to know your mother tongue extremely well and have a very good knowledge of one or more foreign languages. All interpreters at the United Nations know at least three languages. Some of them learned one language at home and another language at school so they speak two "mother tongues". Other people just love languages and decide to study them at school. In order to become fluent in a language though you really need to go and live in the country where that language is spoken so that you can hear people speaking in everyday situations. All interpreters have spent some time living in the countries where their second (and third) languages are spoken. You also need people skills, like to travel to other countries and appreciate other cultures. 6. Any suggestions for young people who might be interested in your career?What can students do now to get prepared for your career? If you are interested in becoming an interpreter you need to make sure that you know your own language extremely well. You should read a lot. You also need to study a foreign language and learn that language as well as you can. Take opportunities to read that language, hear it, speak it with native speakers, travel to the countries where it is spoken and practice, practice, practice. Thanks to the internet there are so many ways to learn new languages, to read foreign-language newspapers and books, to hear music from other cultures, to see TV programs in other languages. 7. Where can you work as an interpreter? You can work as an interpreter in the courts, in hospitals, in government. There are also a number of international organizations which hire permanent teams of interpreters. Many interpreters enjoy working as freelance interpreters. That means that they do not work for any one company. They receive offers from many different organizations to work for two weeks here, three weeks there etc. If they are good interpreters they will get many job offers and they are able to travel all over the world. Some interpreters enjoy job security and they choose to work for a single organization for their entire careers. 8. Describe a typical day at your job? Typically at the United Nations interpreters do no more than seven meetings a week. Most meetings last for three hours. Interpreters work in teams of two per language (three for Chinese and Arabic). Usually one person works for half an hour and then the other person takes over and works for half an hour so that the first interpreter can take a break. Although it's exciting work it can be stressful to interpret for more than 30 minutes at a time so we tend to work for half an hour, give our brain a rest, and then work for another half an hour. We do no more than seven meetings a week (sometimes less, very rarely more) because after five days of seven meetings, especially if those meetings are very technical, the interpreter is mentally tired and doesn't work as well as he/she should. Sometimes an interpreter will work in the Security Council on Monday morning,a very stressful meeting, and then have the afternoon free. On Tuesday he/she may be assigned to a regional group meeting all day (one three-hour meeting in the morning and another three-hour meeting in the afternoon). On Wednesday he/she may be in a technical meeting on trade law, on Thursday, maybe in a meeting on women's rights and then back in the Security Council for two meetings on Friday! So it's not just the number of hours sitting in the booth interpreting. It's also a question of subject matter and having to have all the vocabulary for all those different meetings on the tip of your tongue. After a week like that, your brain needs a chance to rest and recuperate. 9. What got your interested in becoming an interpreter?Did anything in school or your childhood that helped spark your interest? I never thought I could become an interpreter when I was younger although I became interested in other languages when I was very young and I was good at them. I grew up in Canada and when I was a teenager I went to a French school so all my studies were in French even though I spoke English at home with my family. We learned Spanish at my French high school as well and we were able to learn the language quickly because many words and grammatical rules were very much like French. When I went to university I studied German and Russian. I even spent a summer working in Germany. I still didn't think of interpreting! It wasn't until I came to New York City after university to look for a job where I could use my languages and found a job as a bilingual typist at the United Nations. After I had been working here for a few years I heard about a retired UN interpreter who was starting a school of interpretation in NYC. I took his classes and he saw that I had an aptitude for interpreting. He helped me get ready to sit for the United Nations English Interpreters' Exam and I passed! 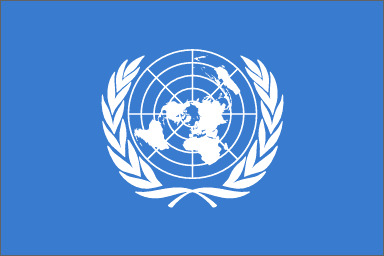 The UN sent me to Vienna, Austria for five years to work as an interpreter. I've been back here in New York for many years and am now chief of the English booth. I still love my job after all these years because there's always something new to learn. You can never get too sure of yourself. Even though you get better at interpreting and you the vocabulary and subjects you may have to interpret a speaker who speaks very quickly or who speaks poorly and that can be a real challenge. Since we have quite a bit of free time, I enjoy working on my languages, doing other past-times and spending time with my family. I don't travel as much as I used to because I prefer to be at home in the evenings with my family but there are still many opportunities to travel with the United Nations. It is a very rewarding career and with globalization interpreters are in high demand. I can't imagine doing anything else myself!